A religious education class in Chester, IN decorated an Altar with a crucifix from the holy land, a photo of Fr. Joe and an icon painted by a priest from the Diocese of LaCrosse. With handmade rosaries in Peru, they offered prayers to Fr. Joe and learned more about his mission. 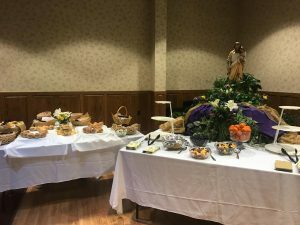 On March 19th, friends and family from the Diocese of La Crosse gathered around the world to celebrate the Feast of St. Joseph and Father Joseph Walijewski’s legacy. 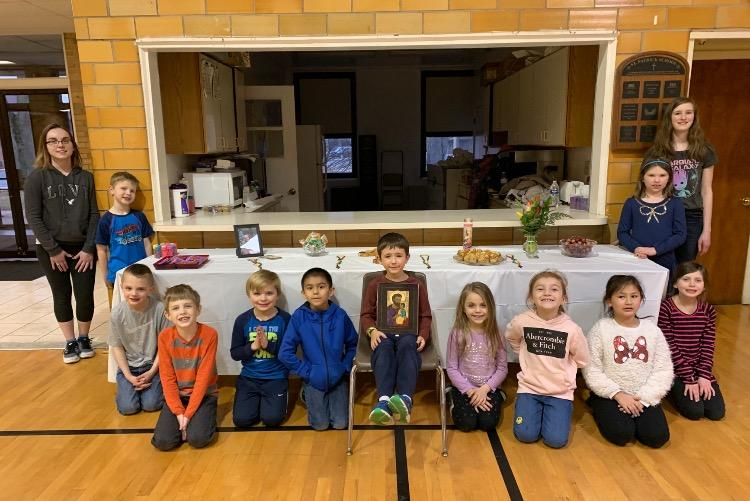 Twelve public St. Joseph’s Table’s events were held as various others came together in their homes to pay tribute to St. Joseph and honor Padre Jose’s life with inspirational stories and prayer. Blessed Sacrament Parish celebrated the legacy and mission of Fr. Joe Walijewski with a feast given in thanksgiving for the many blessings that God has bestowed. It was a joyful occasion in which parishioners from Blessed Sacrament as well as other parishes gathered together reminiscing about different encounters with Father Joe and shared stories of his incredibly life. St. Joseph’s Table is a long-standing Italian tradition ritual meal held on or close to March 19th during the Feast of Saint Joseph, husband of the Blessed Virgin Mary. During this celebration, families and friends come together for hospitality and nurturing in the making of fulfilling promise. The day has a special significance to Fr. Joe and his family. Father Joe’s Mother once had a dream where she spoke with God that led to a special devotion for St. Joseph. In that dream she hoped for four things: 1. To have a son, 2. That he would be named Joseph, 3. That he would become a priest and 4. That he would open a Parish in honor of St. Joseph. She passed away on March 19th, the Feast of St. Joseph, fulfilling the prophecy. Thank you to all those who participated this year, we look forward to establishing this tradition for many years to come in Fr. Joe’s honor! Please help us spread the word and mission of Father Joe Walijewski through your prayers. 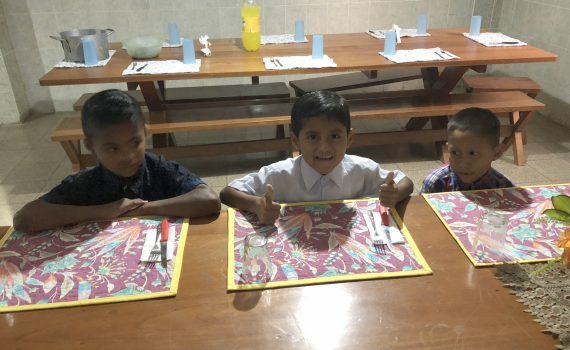 Pacelli Catholic High School in Steven's Point set up their Altar in the school cafeteria to educate students about Padre Jose during the month of March.